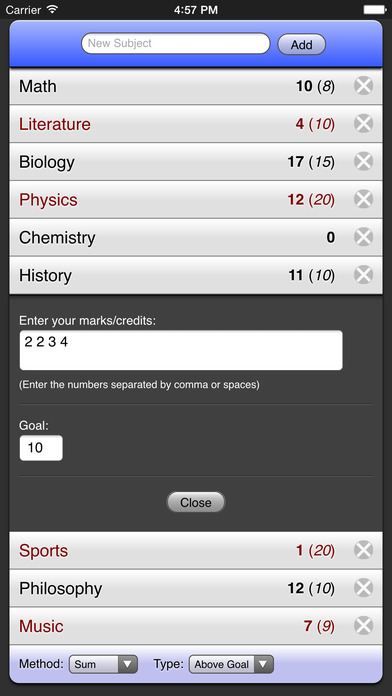 Keep track of your grades, marks and credits in school and university. 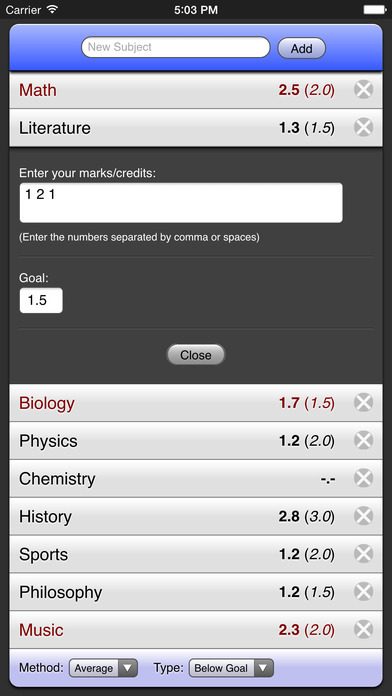 This application always shows your up to date average mark or the sum of your credits in your different subjects. 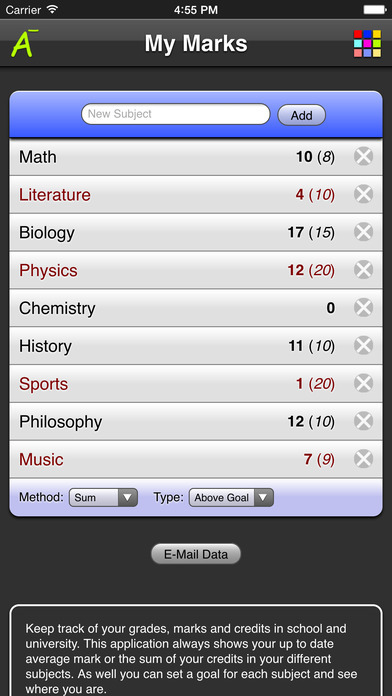 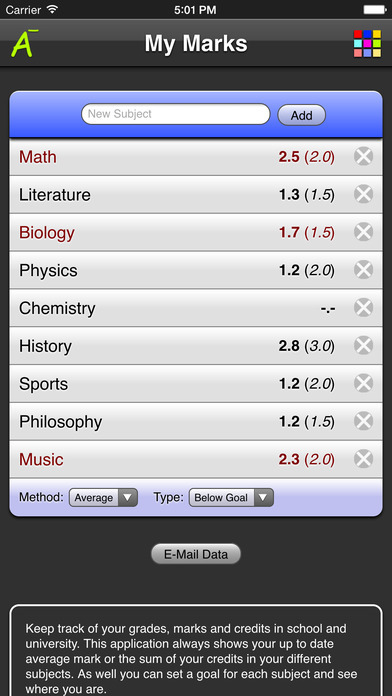 As well you can set a goal for each subject and see where you are. 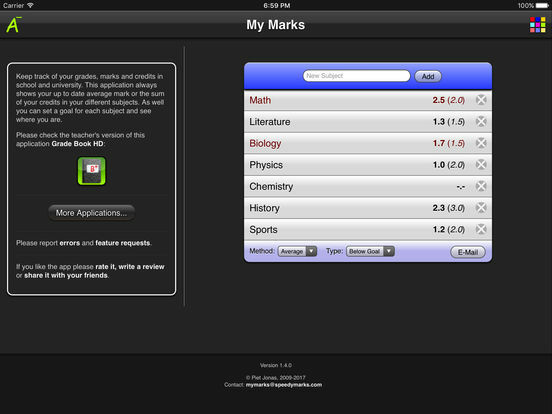 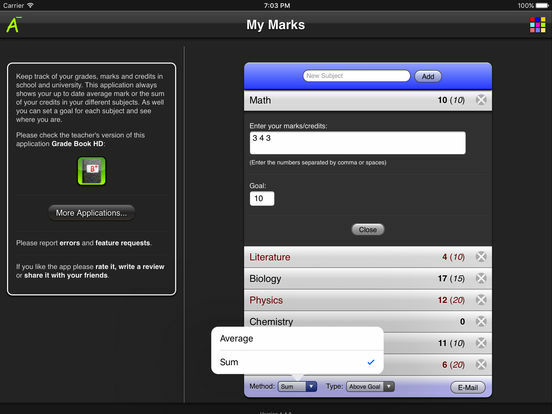 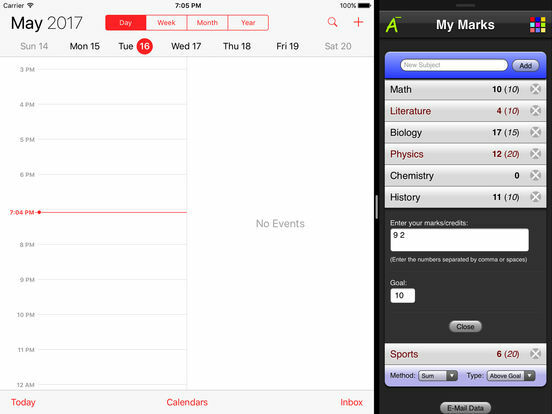 With the free version the marks of one subject can be tracked. 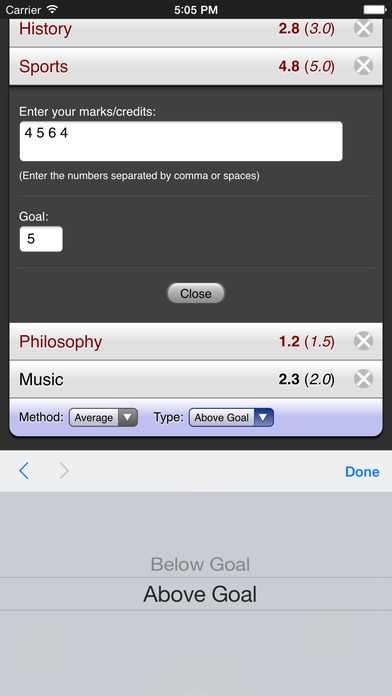 Add more after an upgrade.